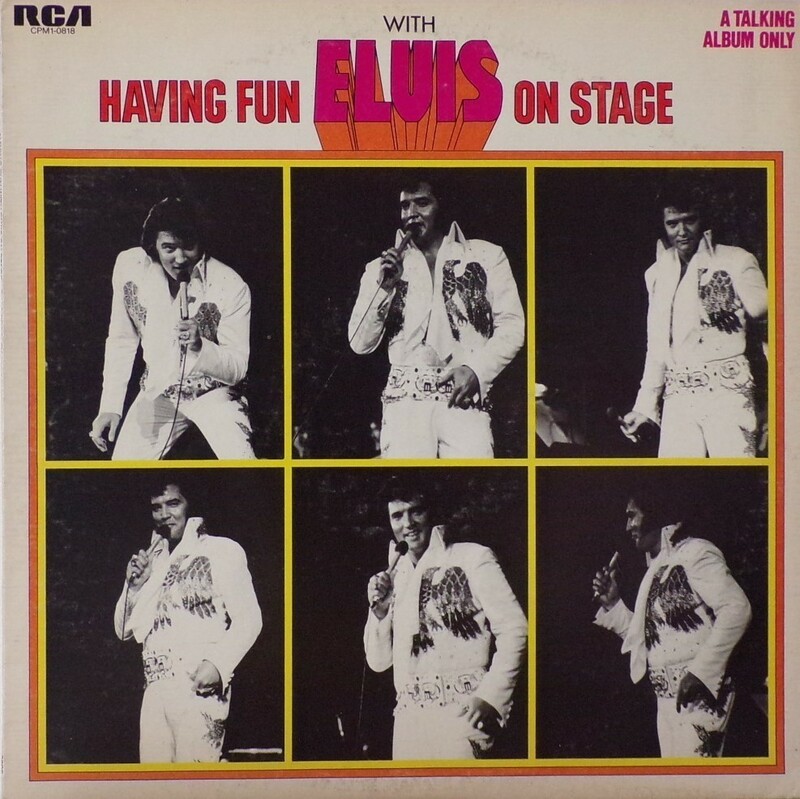 Front Cover : 6 Photos of Elvis. Title at top. Catalogue number top left. 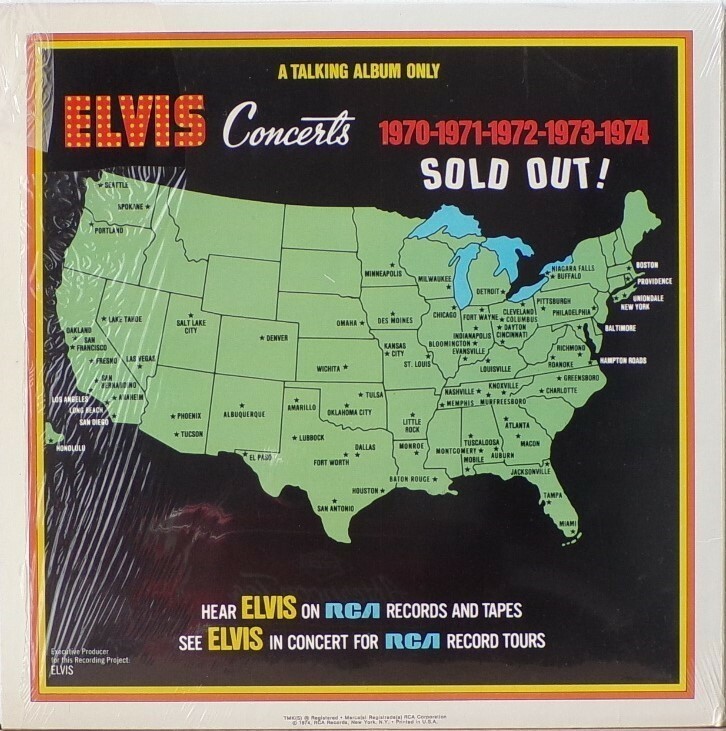 ​​Rear Cover : Map of American cities were Elvis performed. 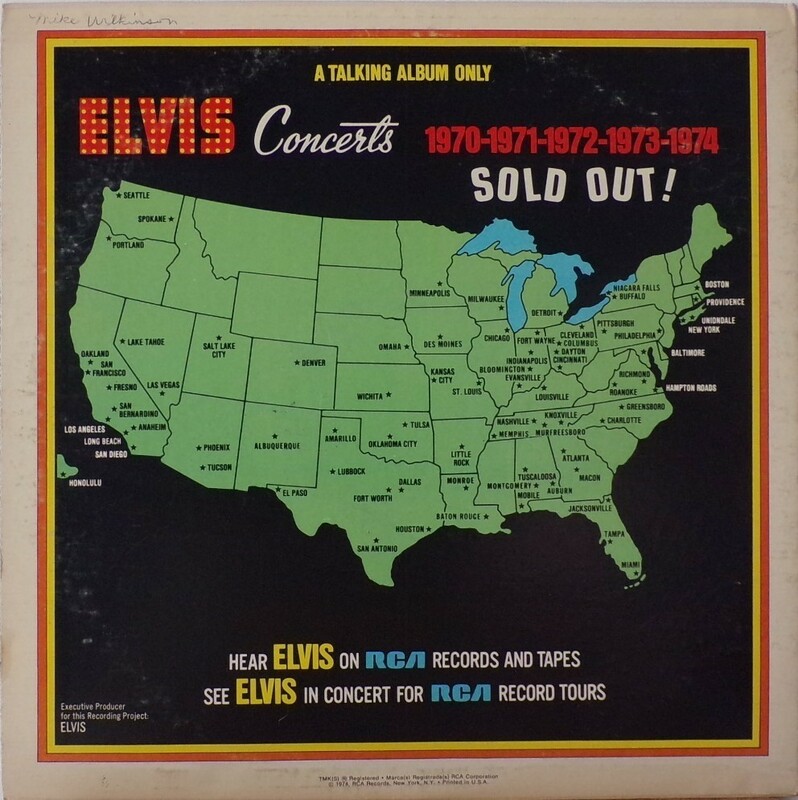 Printed in U.S.A. bottom centre. 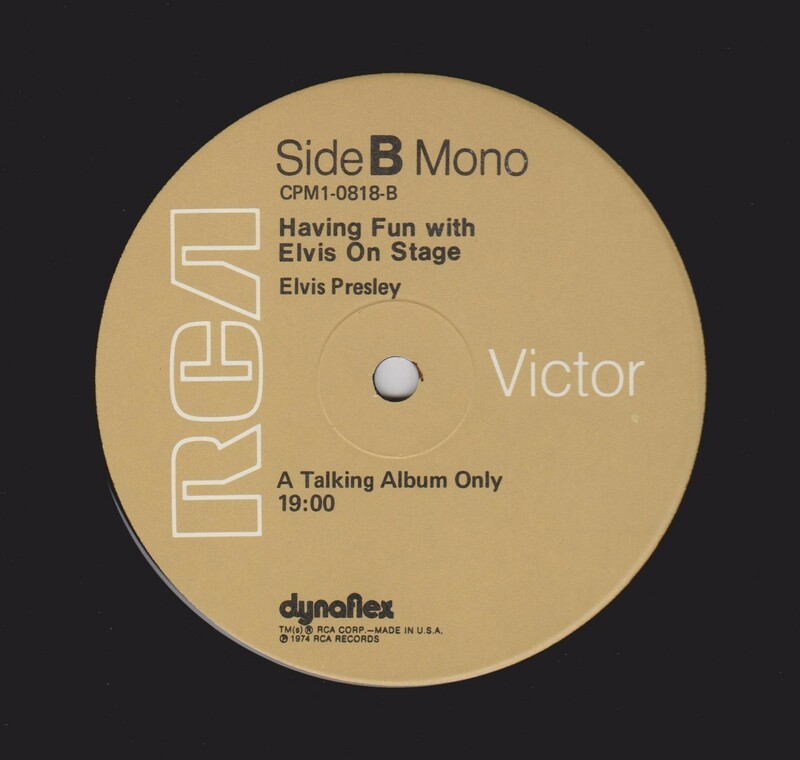 Side B :​ MONO at top. *NOTE* New catalogue number. 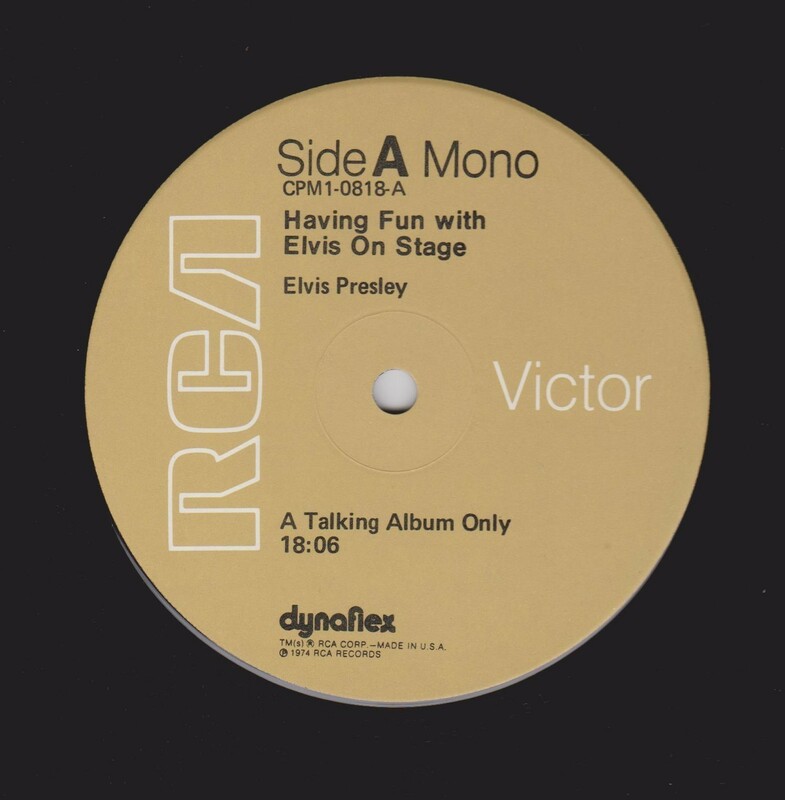 A talking only album. 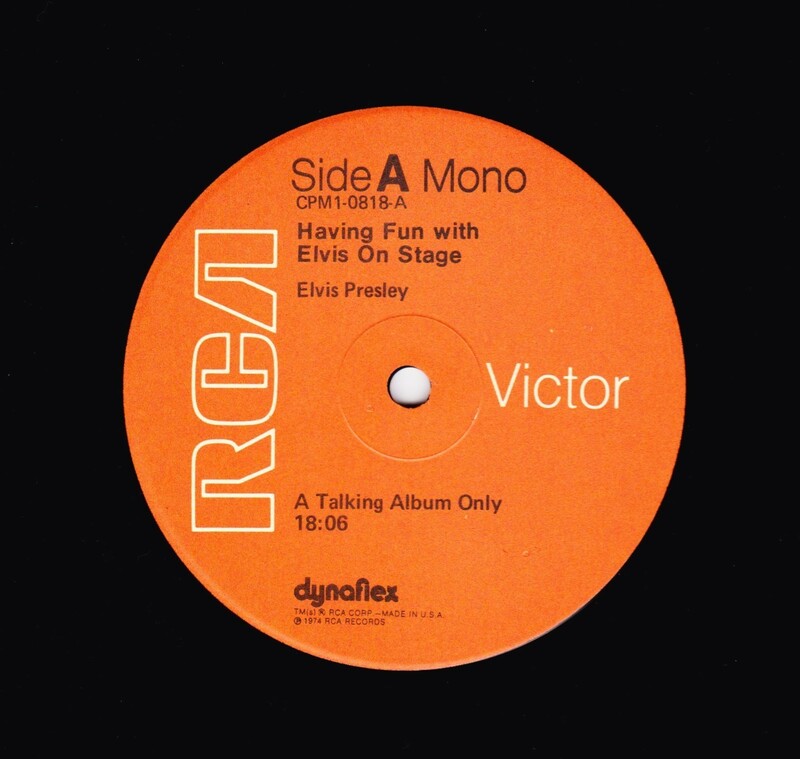 This was an RCA commercial release reissued with a new catalogue number. No mention of "BOXCAR" anywhere. 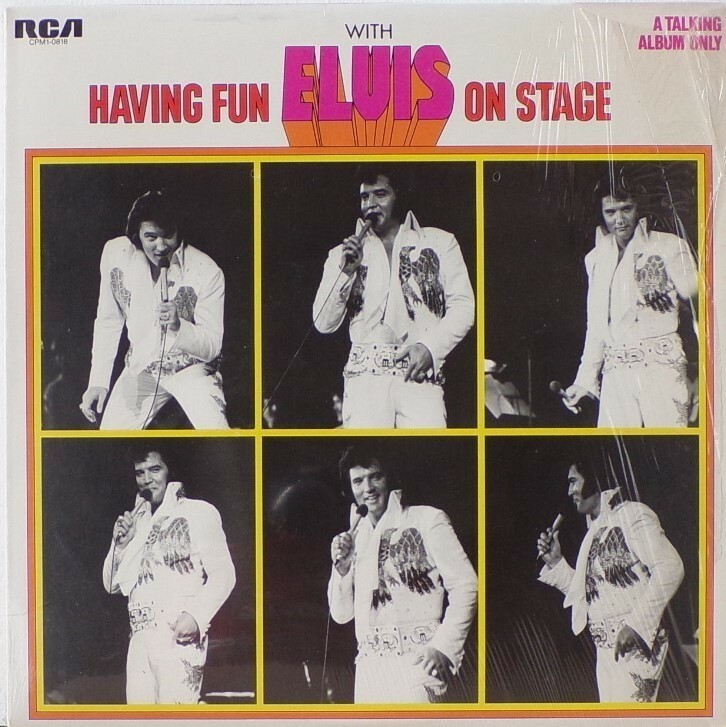 Bottom centre now reads "1974 RCA Records, New York, N.Y. Printed in U.S.A.". *NOTE* A talking only album. 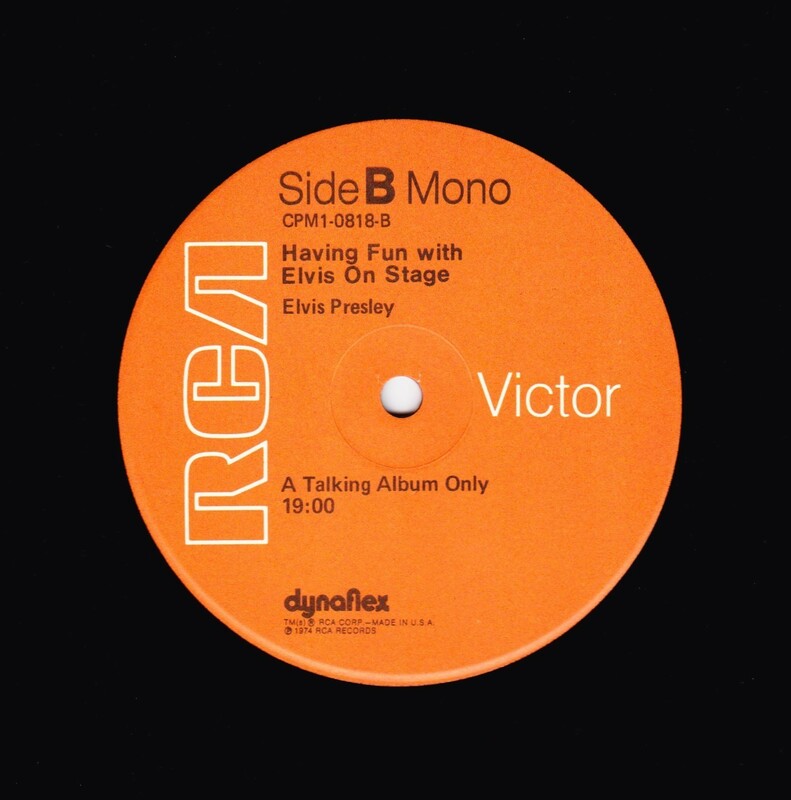 This was an RCA commercial release reissued with a tan label. No mention of "BOXCAR" anywhere. Brief History : Orange label reissue with new catalogue number.